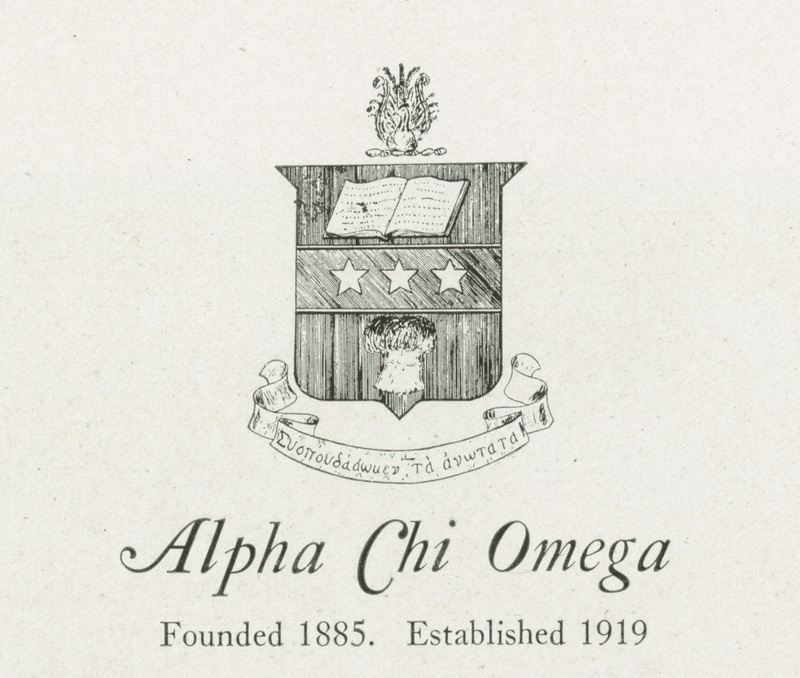 Alpha Chi Omega was founded at DePauw University in DePauw Indiana on October 15, 1885. 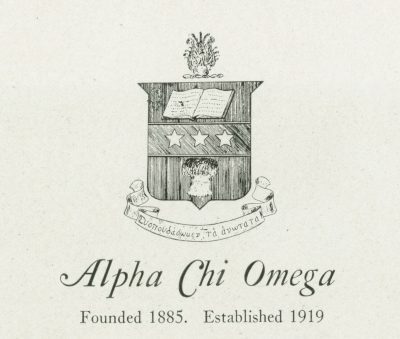 The sorority’s chief tradition was music, which explains the lyre on the Alpha Chi Omega pin, though it is no longer a music-oriented organization in modern times. The Alpha Chi Omega motto is “Together let us seek the heights.” Its flower is the carnation and its colors, scarlet and olive green represent the maple leaf of its autumn founding. Penn’s Alpha Epsilon chapter was founded in 1919 and existed continuously until 1969. It was reactivated in 1990.